HW3 Triple-Cylinder Head (0.2ohm) and HW4 Quad-Cylinder Head (0.3ohm) Head will provide you with an ultra vaping experience of great flavor and satisfying amount of vapor production. 5pcs each pack. HW3 Triple-Cylinder Head (0.2ohm) and HW4 Quad-Cylinder Head (0.3ohm) Head will provide you with an ultra vaping experience of great flavor and satisfying amount of vapor production. 5pcs each pack. It has a high compatibility with Leaf Ello/Ello Mini/Ello Mini XL. 5pcs each pack. Get them as spare parts. 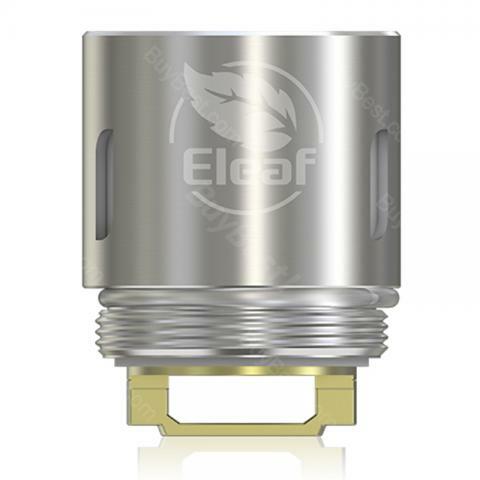 • It's for Eleaf Ello, Ello Mini and Ello Mini XL. Everything, worthy, thanks for a small gift, an excellent seller)) i'm sure that the original. I will not even check and so can be seen. My former coil burnt accidently so I purchased HW coil here. For beginners you must make sure you coil is submerged with liquids. I have always being using my Ello kit. So I purchased some coils here. HW Coil fulfills me very well. I will buy it again here. Preis-Leistungs-Verhältnis ist super, dass Eleaf HW wurde wie angegeben schnell geliefert. Liquids schmecken gut. Für Anfänger sehr zu empfehlen. Even though HW coil didn't last as long as my baby coils. They are cheaper. So I still like to recommend it.